Sewlovelee features premium quality, cotton fabrics from today’s top designers and manufacturers. 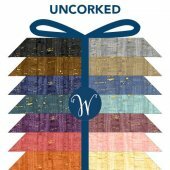 Whether you’re looking for the perfect fabric for your next quilting, crafting, or garment project, our vast array of colors and prints inspire both traditional and modern sewing styles and provide endless creative options. 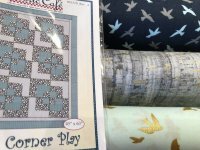 We offer special prices on our fabric-of-the-week, along with lots of inspiring projects and designs for every skill level. Located in Irvington, VA, we specialize in friendly, personalized customer assistance and prompt, professional service! There is a $7 dollar flat rate on all shipping. Domestic Shipping only at this time. Sunday and Monday: By appointment or chance, otherwise, closed.